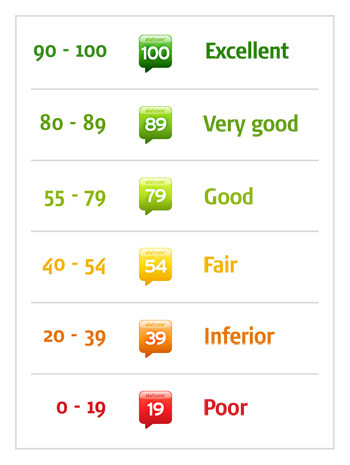 is a reliable, objective and simple product quality rating. Because it is a reliable, objective and simple product quality rating. Reliable: alaScore™ standardizes thousands of professional tests from a great number of sources in the world and develops them into the most unbiased result currently available. We believe that the more tests and reviews a product has, the more reliable the overall rating will be. Therefore, we have developed a service that helps you answer questions that a typical sales person might not want to answer to. A magazine, a newspaper or even a consumer organization testing products would not be completely helpful either since they are niche specific and cannot test all the products available on the market. We do not test any product ourselves; instead, we bring all the reliable tests to you for free. Objective: alaTest is totally independent from the test sources included in our service. alaTest does not give preferences to any test source and has no influence whatsoever on any of their respective results. Simple: As thousands of tests and reviews are published in the world - both online & offline - many products are rated differently by diverse sources. Because both test criteria and rating scales vary between test sources, it can be confusing for consumers. What factors are included in the alaScore™ formula ? Why? Because sources in general are very positive about the products they rate and end up giving them an overestimated score. As an example, more products are positively rated compared to poorly rated. Therefore, for every source, alaTest first calculates the relative score for each product in each category. Why? Because a test result from a source that has only tested one camera is likely to be less reliable compared to a result from a source that has tested more than 500 cameras. We believe that the more products a source has tested in a certain category, the higher the expertise of this source in the specific category will be. Why? 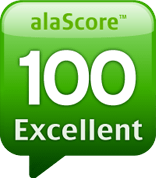 Because alaTest acknowledges the expertise of professional reviewers and their results weight more in the rating calculation. New products compared to old products Why? We do this because the relative quality of any product - as compared to similar products - changes over time. As new, improved versions of any given product come to market, the relative quality of the old product, and it's alaScore, declines. Does a low alaScore™ mean that a product is not recommended? Not necessarily. A low alaScore™ simply means that based on all the available reviews, this particular product is less good than other similar products within the same category. In other words, a low alaScore™ means that a product has a relatively lower quality compared to other products in the same category. Yes, this situation can occur when the ratings from external sources are not accurate and/or when a product has been rated only very few times.